Throughout 2014 and heading into 2015, housing market experts agree that buying is less expensive than renting. According to the Sacramento Business Journal, mortgage rates are at 25.6 percent the average Sacramento resident's monthly income, while rent is closer to 32.2 percent. Skylar Olsen, senior economist with Zillow, said this is due to interest rates remaining about 5 percent lower in Sacramento than other cities in the United States. Rent has been in the rise in Sacramento, while new multi- and single-family constructions are still low. Based on historic norms for the city, renting is about 6.6 percent higher than normal, but purchasing is at about 12.5 percent less. "There is an opportunity for builders to get in there and take advantage of this," Olsen told the news source. A report by multifamily specialist firm Marcus & Millichap supports the expected continued rise of rents and the multifamily housing market, making single family homes much more appealing for first time buyers throughout the area. In fact, Sacramento has been outperforming other coastal cities, where both renting and buying has been on the rise. Cities such as San Francisco, Los Angeles and San Jose all show mortgage and rent accounting for 38 percent of residents' monthly incomes. This news means its an ideal time to make a move and purchase a home in Northern California, particularly in the Sacramento area. 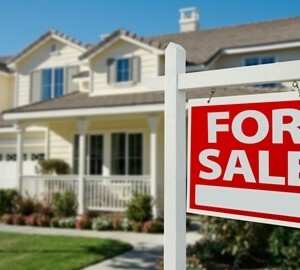 If you're thinking about looking at Sacramento homes for sale, contact me, top real estate agent Jon Hesse. With more than $100 million in completed transactions and a decade working in the local market, I have the experience necessary to help you buy your dream home at the best possible price.